Brandy is produced from a distillate aged in Bulgarian oak casks 500l, where it has acquired straw-amber color, preserved soft plum flavor, nicely complemented by the multiannual contact with the material of the barrel. The taste is soft, sleek and fruity. This brandy is a special selection with sparkling amber color. 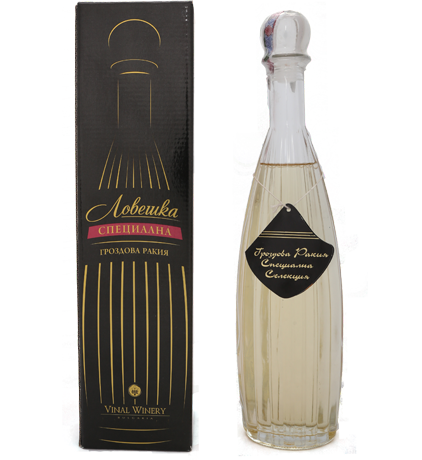 The aroma is delicate, fruity, with nice development, formed by a few year aging in oak barrels using Bulgarian oak. The taste is soft and pleasant, with predominantly fruity aroma and slightly marked caramel chocolate background. 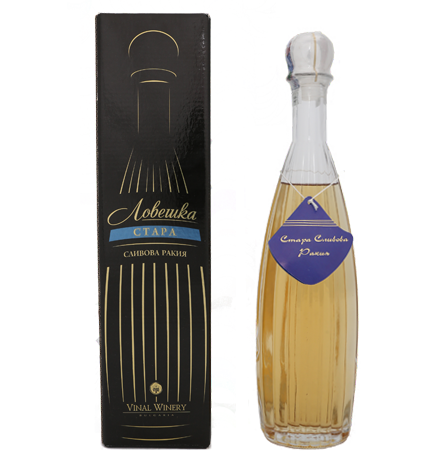 Is is obtained by skillfully blending lightly aged Muscat distillate and well-aged distillate of wine materials of Dimiat and Mavrud.